The NICE Reboot book was published by Maven House Press. It's about balancing humanity and technology in today's startup culture. The NICE Reboot Blog is about an educator turned entrepreneur's journey, takeaways, and musings about transitioning from Me to We online and offline in today's Digital Age. Asking questions is a time-honored tradition that began in ancient times as seen in the Talmud and books on philosophy. Asking questions was approached with the understanding that the question itself was sometimes more important than the answer. The gravity with which questions were considered, and the act of asking questions itself have been somewhat diluted in this Digital Age. It’s a shame that social media has given many of us the false impression that a person can tell a lot about someone else by just looking at their Klout score or Tinder profile. Technology, especially with the Internet, the ubiquitous Google search engine, and sites such as Quora, has rendered asking certain questions obsolete, and the art and culture of conversation is forever changed. So is the way we now relate, date, and even use the library. The lost art of asking questions is causing us to lose out on another metalinguistic frontier; honing our empathy for our fellow human beings. Why is that significant? 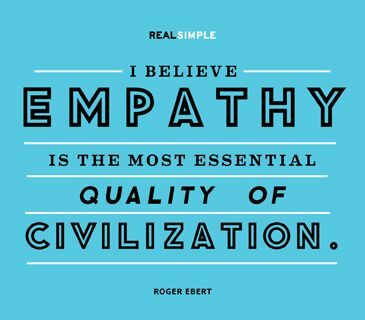 Why is human empathy so essential to best practices in education and entrepreneurship? Because both are about causality, something I wrote of in my entrepreneurial business book, The NICE Reboot. Causality is about relationships between events and people, and the pivots one engages in to maintain those seesaws and nurture integrity. There is now increased interest in studying causality and other psychological concepts, and how they affect marketing. There is now increased interest in finding ways to amass social media followers and customers, and formulate buyer personae more precisely and productively. To discover and use what will emotionally resonate with them, and reel them in. Because empathy answers the why? of our overall behaviors, which is more important than the what? and/or how? Empathy for others is what drives us to feel their pain, try to solve their problems, and keep striving to create. This is something that marketing professionals and entrepreneurs need to understand, whether using real time outbound marketing or inbound visual content marketing via social media. It’s something that Anton Rius gets and teaches us, as seen from his great posts, such as this one. It’s something that Mike Shultz explains so well, in this practical post. Empathy is the common thread, the glue, and the outcome of these five personality traits needed in the workplace, and in the psychological makeup of an entrepreneur’s “mojo”. It helps us communicate more humanely and effectively, and as Ted Coiné writes in this funny, well written post, “sow good karma and dance with the date that brought you”. It helps us want to understand and help others, and understand what we read so that we can incorporate it into our Theory of Mind. So that we improve our problem solving skills. Both empathy and problem solving are key traits to hone on an ongoing basis, as we embark on our journey of entrepreneurship. As we continuously reframe and reexamine our successes and failures along the way. It’s something James Altucher writes about so creatively in his famous post, How to Be a Jedi Knight. As an entrepreneur who loves all things Star Wars, and loves pop-culture references, I found this post to be a compelling read, full of implications for living life with empathy and seeking new ways to problem solve and resolve conflict. Remember the scene in The Matrix where Neo discovers the truth about his existence? Remember when Alice meets the Caterpillar and asks him questions, in the deceptively simple classic by Lewis Carroll? The Caterpillar remarks that if she doesn’t know who she is, then it doesn’t matter where she is, or where she’s going. The same holds true for an entrepreneur. An entrepreneur needs to stay true to himself/herself; soul, values, and thought processes. Why? To forestall the analysis paralysis loop and cognitive biases that can affect problem solving, which can be broken down into five steps. It’s something that I wrote of in my book, and Marty Zwilling remarked upon, in his review of it, which you can read here. The prerequisite to effective problem solving is resiliency, and one of the byproducts of resiliency is empathy. All are needed to help one understand the “politics of the playground”. All are needed to navigate the circumlocutions and the emotionally, physically, and financially grueling nature of entrepreneurship. All are needed to instill acceptance and respect for others in our daily practices. 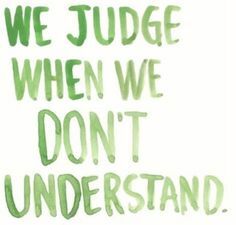 So that we judge others less, and listen to them and support them more. Honing one’s empathy is a lifelong goal of being part of the human race. But it is especially crucial for being part of the ecosystem of entrepreneurs who truly promote change and make a difference with their service/product. Many people will try to sell you a line, and convince you to provide others with a quick fix, a superficial injection of empathy. How? By advocating for digital marketing campaigns in isolation, using humor and storytelling; the train tracks underneath the social media train these days. See my earlier series on that topic here on WordPress for more on that. As an Autism specialist/speech therapist turned entrepreneur, I know that learning and honing one’s empathy is a behavioral PROCESS, much of which takes place in real time; much like the journey of entrepreneurship itself. Penina Rybak MA/CCC-SLP, TSHH, CEO of Socially Speaking LLC, is the author of "The NICE Reboot: A Guide to Becoming a Better Female Entrepreneur". She is an Autism specialist and educational technology consultant turned social entrepreneur. She is also a pediatric speech therapist and the creator of the Socially Speaking™ Program & iPad App. Her second book, "Autism Intervention in the iEra" was published in 2015. Since 2010, Penina has been a national/international speaker about social communication development, balancing humanity and technology, and best practices re: mobile and social technology. Connect with her on LinkedIn to learn more. You can also find her on Twitter: @PopGoesPenina, Facebook: Socially Speaking LLC, Google+ at The NICE Initiative for Female Entrepreneurship, and Pinterest and YouTube as well. This entry was posted in Balancing Humanity & Technology, Digital Footprint, Entrepreneurial Strategy, Humor in Marketing, Social Media & Entrepreneurship, Thought Leadership and tagged buyer personae, empathy, entrepreneurship, marketing, NICE Reboot Book, Penina Rybak, problem solving, Social media, Transcendence. Bookmark the permalink.